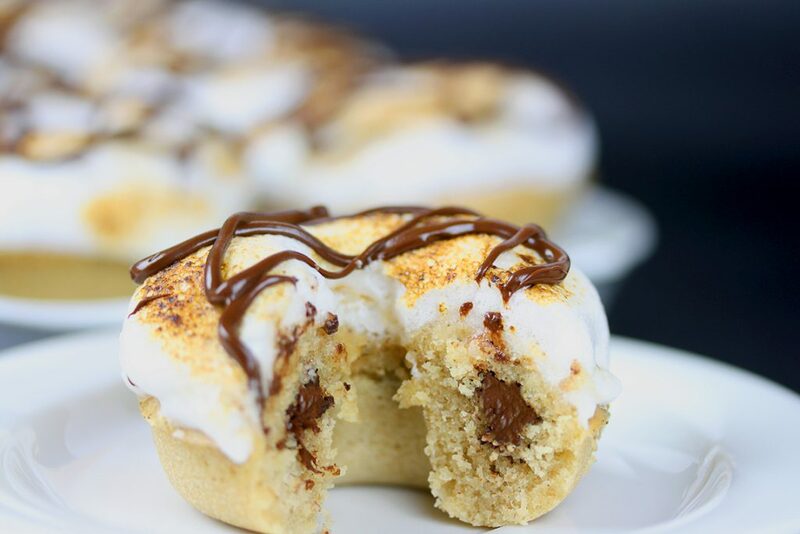 Here’s a quick and easy recipe for really wonderful s’mores doughnuts. I planned to make something s’mores-related for s’mores day, but had no gluten-free, vegan crackers and no vegan marshmallows, Ok, I still had about 5 marshmallows – so not enough ;). 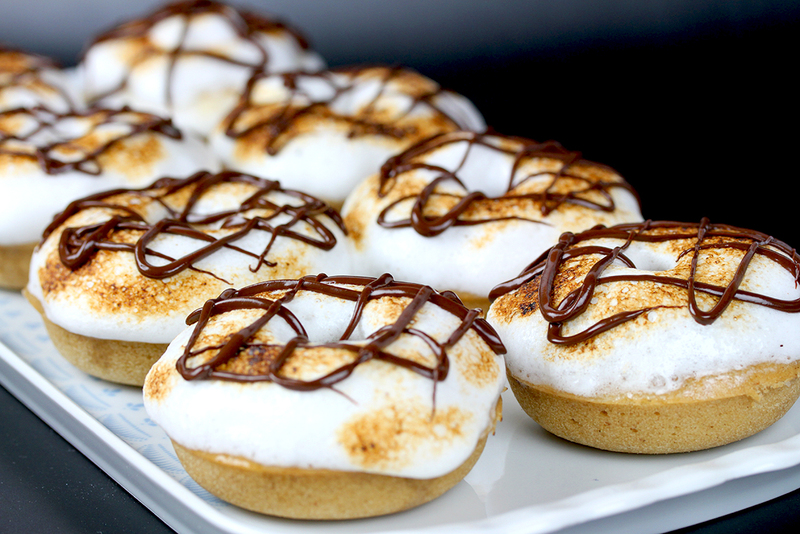 Anyway, the result is absolutely delicious, chocolate-filled doughnuts with toasted marshmallow frosting. 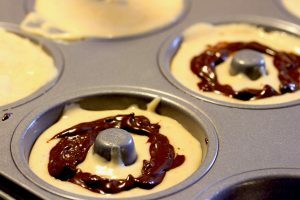 I filled the doughnut pan until the molds were half full, then I placed some warmed vegan chocolate spread into the molds and covered the chocolate filling with the remaining batter. I’ve also tried this with vegan chocolate chips, which works also very well. So, overall, a not too complicated recipe. For the vegan marshmallow fluff, I used MyEy vegan egg white. I’ve tried with Orgran No Egg, but the result was a bit too liquid. However, I guess you can use any vegan replacement for egg whites that you are able to whisk up until stiff peaks form (which I somehow never manage with Orgran No Egg). You can try with aquafaba, for example. Aquafaba will probably be my first choice next time. My version was also partly refined-sugar-free and I used a mix of coconut sugar and xylitol in the doughnut batter. It’s also possible to use xylitol or erythritol in the marshmallow fluff, although this makes it turn black, not golden-brown, when toasting it. So, if you should want to use xylitol or erythritol, you can either skip the toasting process or just go with the darker color. For browning the marshmallow fluff, you can either heat the doughnuts for about 2-4 minutes under the broiler or use a Culinary Torch . Be very careful when browning the marshmallow fluff, though! Preheat oven to 350°F (180°C), grease a 12-mold doughnut pan and set aside. 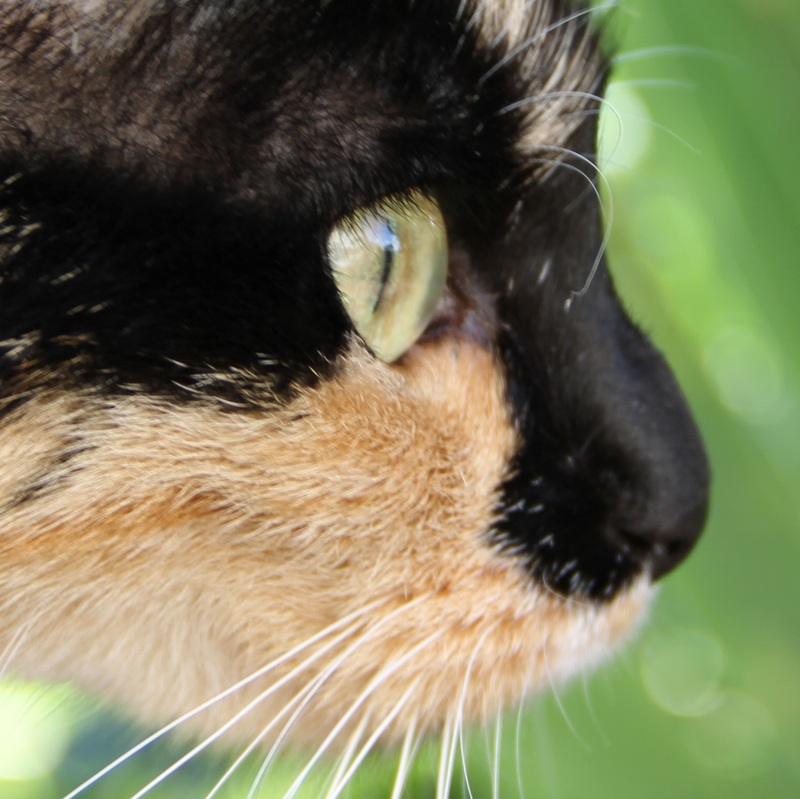 Combine flour, sugar, baking powder, ground flaxseed and salt in a large mixing bowl. Mix dairy-free milk with lemon juice (or apple cider vinegar) and add liquid coconut oil (or any other vegetable oil) and vanilla. Fold the milk-mix into the dry ingredients and stir until combined. Remove doughnuts from oven and allow to cool for about 5 minutes in the pan, then turn out onto a cooling rack. Whisk up egg replacer (mixed with water) with an electric hand whisk until peaks form. Then slowly add sugar and optionally stabiliser whilst mixing. Beat mixture until stiff peaks form, then add vanilla. 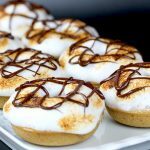 Spread marshmallow meringue onto the doughnuts and either heat for about 2-4 minutes under the broiler or use a cooking torch to brown. Sprinkle with melted chocolate and serve immediately.